This is an example from the NAACP’s The Crisis Magazine, that includes essays by both men and women on the issue of Suffrage. “Votes for Women: A Symposium by Leading Thinkers of Colored America,” The Crisis, published by the NAACP, New York, (August 1915), pp 178-192. 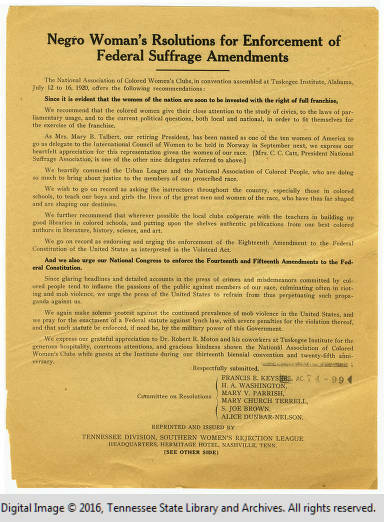 This example is a reprint of the “Resolutions” of the National Association of Colored Women’s Clubs from their convention in Tuskegee, Alabama in July 1920. 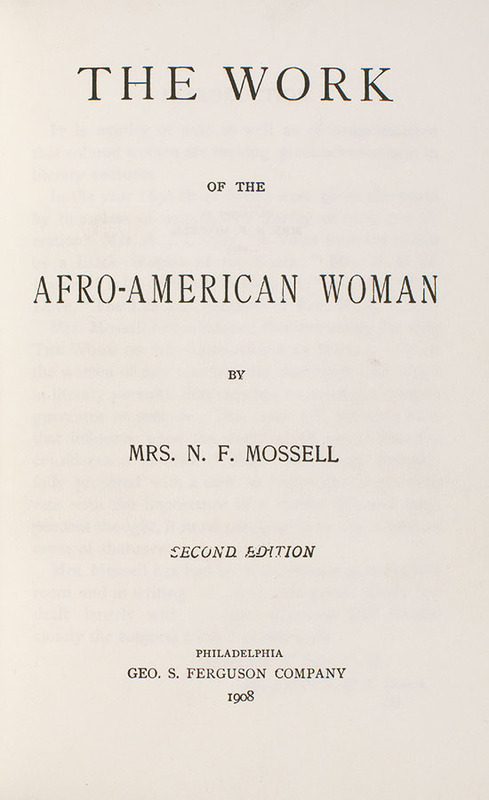 This book was written by Mrs. N. F. Mossell in 1894 with an introduction by Benjamin F. Lee, D.D., Bishop of the African Methodist Episcopal Church. Every photograph tells a story. Look through old photographs, letters, and journals of African American women, particularly leaders in the church, school, or community. Young girl holds a “Votes for Women Banner,” c. 1912. Source: The Crisis, Vol. 4, No. 5 (September 1912), p. 240.